A miniature from one of Scotland’s very smallest distilleries, as shown on the charming packaging. This is a fairly unusual whisky as an entry-level malt, extremely thick in mouth feel. This whisky has been matured in a mixture of sherry and bourbon casks, and is very rum like, with heavy hits of crème brulee and brown sugar. 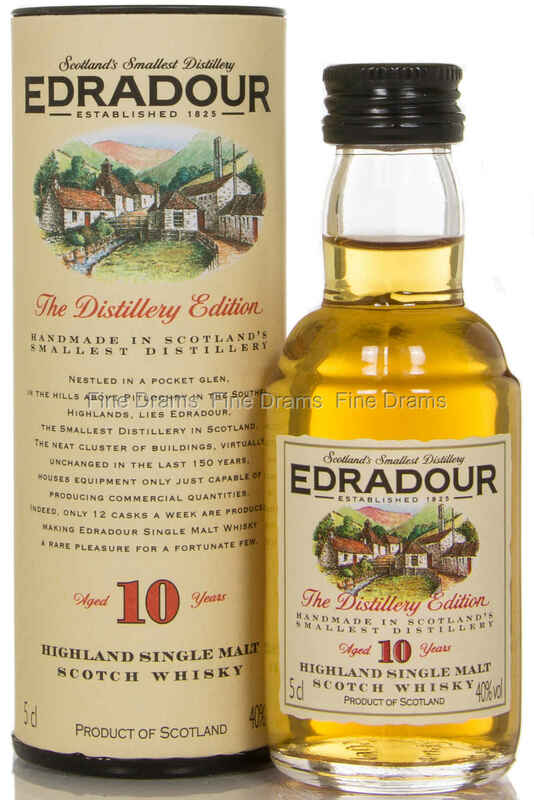 A sumptuous malt whisky, this miniature is a great opportunity to try the whisky at the heart of the Edradour range.